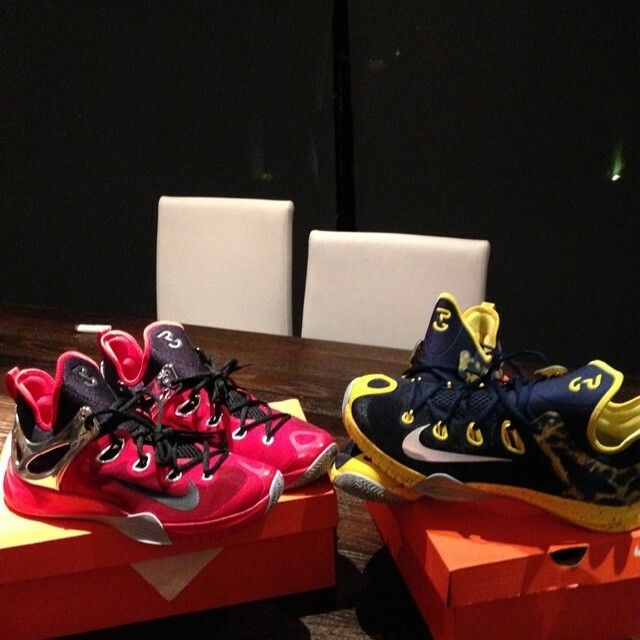 As seen in our initial preview, Indiana Pacers swingman Paul George has his own PE colorways of the Nike Zoom HyperRev 2015. The upcoming model, which features bootie construction, a TPU chassis and Flywire technology, is seen here sporting a Pacers-themed look, as well as what appears to be a Black/Red colorway. Each pair features George's logo on the tongue. What do you think of what we're seeing from the HyperRev 2015 so far?